The Observer Newspaper recently featured Grandmaster Vincent Marchetti in a full page and half article written by Pulitzer Prize winning journalist Karen Zautyk. 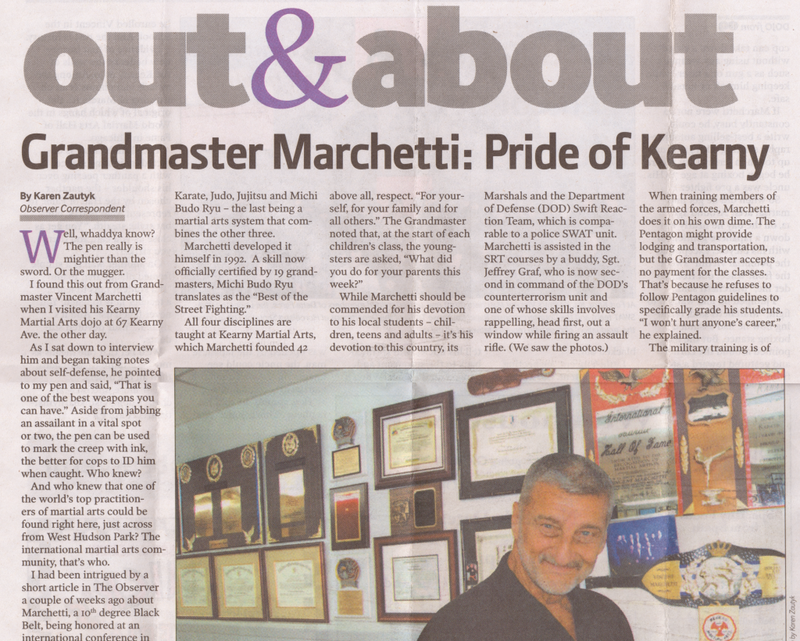 The article focused on many aspects of Grandmaster Marchetti’s martial arts background and philosphies pertaining to the martial arts. 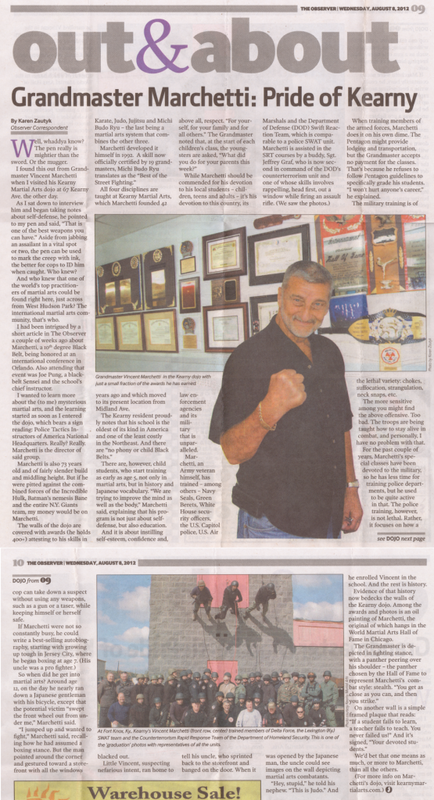 Some of the items touched upon in the article include Grandmaster Marchetti’s background, the origin of his officially certified style “Michi Budo Ryu”, his philosophy around the importance of educating children and his extensive work teaching unarmed self-defense tactics to our Nation’s military and police forces.